Mitch has over 17 years of recruiting experience. His experience has ranged from aerospace to engineering, with the last 6 years focused on legal and technical support to law firms and Fortune 500 companies. He enjoys being involved and learning how technology is constantly creating demand for new skills and employees. Mitch’s goal is to recruit with passion & energy, and treat both candidates and clients with the utmost integrity and honesty. 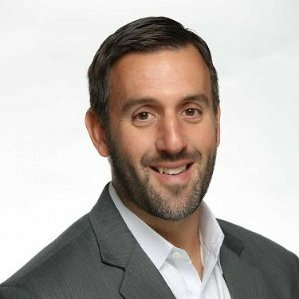 Originally from Geneva, IL; Mitch earned a Sports Marketing degree from Indiana University, and a Masters of Business Administration at Pepperdine University. As a Part-Time Instructor at Loyola Marymount University, Mitch teaches classes on professional recruiting within the College of Business Administration. Mitch is an avid skier, cyclist, urban farmer and home winemaker. Liza is a graduate of University of Alabama where she earned a degree in Communication Studies and minored in Sociology. Since college she lived in Nashville TN and worked at an integrated marketing agency. She is a people person so she really loves recruiting and speaking with candidates and learning more about their background to help them find the perfect position. Liza is from Alexandria VA and recently relocated to Southern California from Nashville TN. Liza enjoys traveling, going to the beach with friends, playing tennis, and exploring her new home in sunny California! Daniella is a graduate of Loyola Marymount University where she earned a degree in Sociology. At LMU, Daniella was a member of the Human Resources Society. For the Human Resources Society, Daniella was involved in getting the word out about the different opportunities that the organization provided for the students at Loyola Marymount University. Daniella is from Culver City, California and enjoys playing soccer, spending time with family, and hiking. She has a passion for Human Resources and believes that Human Resources and Recruiting provide opportunity to make people’s working lives better. Natasha is a senior at Loyola Marymount University pursuing a degree in Business Marketing and Political Science. Natasha is a member of LM-UMatch, a student recruiting organization. She is also the event coordinator for the organization, helping to plan mixers and networking events involving professionals and students. Natasha is from Glendale, California and enjoys cooking, travelling, and reading. She enjoys helping companies fill positions with their ideal candidates and believes there is an ideal candidate for every position. Nishita Bhatt is an undergraduate student at Loyola Marymount University where she is studying Marketing with a minor in sociology. She is part of a professional business fraternity, AKPsi, and is also a member of LM-UMatch, a student recruiting organization. For LM-UMatch, Nishita is on the marketing team and is involved in getting the word out about the different opportunities that the organization provides for the students. Nishita is from Cupertino, California where she spends most of her days pursuing her hobby of photography and taking pictures of the amazing outdoors. She loves working out, going on hikes, and spending time with her two dogs. Jessica is a graduate of Loyola Marymount University where she earned a degree in Business Administration with a concentration in Marketing. At LMU, Jessica was a member of the student recruiting organization, LM-UMatch. She is also a member of the prestigious M School, a specialized marketing program within the business school which emphasizes learning through real world marketing initiatives and scenarios. Jessica is from Redondo Beach, California and enjoys working out, going to the beach, and listening to music and discovering new artists. Jessica believes that there is a perfect candidate for each position and the perfect position for each candidate, and is devoted to finding the perfect match for each. Want to learn about new positions as they come available? Email us!